If it wasn’t clear by the title and the birthday cake image, it’s my 28th birthday today! Mike hasn’t said anything about his plans for the day, so I’m totally in the dark (which is how I like it). My only hope is to relax and enjoy my day, which shouldn’t be too difficult! And to eat cake. I must eat cake on my birthday. Admittedly, it’s a little bittersweet to say goodbye to 27 – it was such a big year for me! Being engaged, planning a wedding, getting married, moving to a new place, traveling to Europe. It was a bit of a whirlwind and a little crazy at times, but one of the best years of my life, for sure. I’m hopeful that 28 will bring maybe a little less change, but just as much joy and contentment. I can honestly say that I’ve never felt more content in my life, which is an incredible blessing from God. With work, with family, with Mike…all of it. My prayer is that the year of 28 will bring more contentment, as well. My late twenties have been good to me – for the obvious reasons, like getting married, but also for the less obvious reasons, like self-confidence. I feel like with each year, I grow more and more comfortable with who I am. There are things that I would like to change (as there probably always will be) but, in general, I am more accepting of the things that I don’t necessarily like. My early twenties definitely brought some insecurity, which caused me to weigh the opinions of others (including strangers on the internet) more highly than those who know me personally. That’s taken such a dramatic turn in my late twenties, which is a great thing. I value the opinions of people who know me, like my husband, my family, and my close friends, so much more highly than my own self-doubt or insecurities. I look forward to continuing this shift this year, as well. I haven’t really thought through any specific goals that I have for this next year, but I do hope to continue to be proud of the work that I do and to continue to connect with you. You, my blog reader, are a large part of the reason that I love my job and have this contentment that I’ve been talking about, so thank you! In the spirit of celebration and giving, I though it would be fun to give away a little collection of some of my favorite things to one of you! This giveaway is exclusively for my regular blog readers – I’m not sharing it anywhere else because I want it to go to one of you! Simply use the giveaway widget below to enter. Winner will be chosen tomorrow! 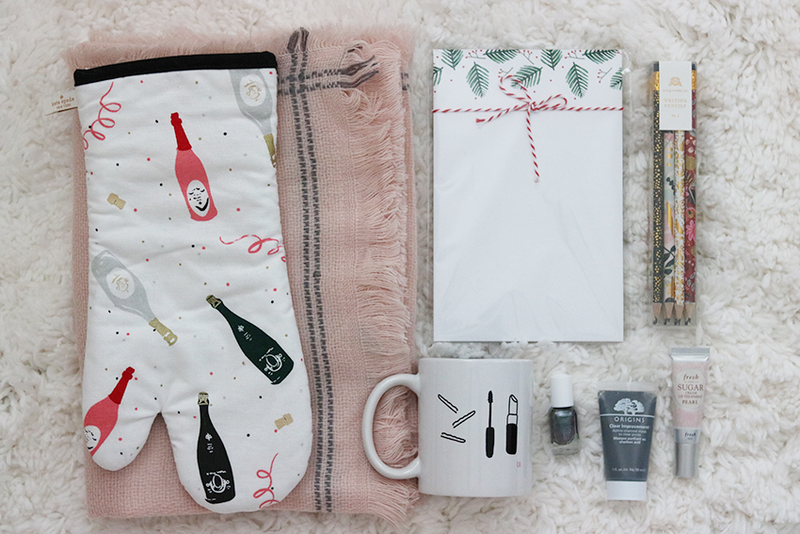 My favorite Elisabeth Ashlie scarf, a festive Kate Spade oven mit, my favorite mug, one of the notepads I use everyday, a set of pencils, an Essie nail polish, my favorite face mask, and a lip treatment. Happy birthday!! I love the self-acceptance I’ve found as I’ve gotten older. I’m 30 and have embraced who I am more than ever. Hoping you have a fun day! Happy birthday! Also, I always read your blog from a reader so I never noticed your header until now – love! Happy birthday! I’ve been reading your blog for about 2 years now. It has been exciting watching you change and grow as a person and become who you are today! Happy birthday! I’ve been reading ur blog for 2 years and hope your 28 brings more contentment like you mentioned. Enjoy your day! Happy birthday, Lauren! I hope you have a wonderful day! Happy Birthday!����. Enjoy your day! Happy birthday!! Hope it’s a great day and wishing you many blessings in the coming year!! Happy birthday! I think I've been reading this blog for… seven years? Dang. Has it really been that long?! Happy Birthday, Lauren! I think the self confidence that we find as we age is one of the very best parts of getting older. Hope 28 is a great year for you! Happy Birthday! I have no idea how long I've been reading, for a couple of years I would assume. I found your blog through your sister's, and love your products. Enjoy your weather — it's supposed to get COLD this week in the midwest. Happy birthday! Not sure how many years it's been, just know I started reading before you moved back to Chicago. Happy birthday!! I found your blog from your sisters way back in 2011 I think! I feel like you girls are my friends, lol. I hope your day is awesome! Happy Birthday! I’ve been reading probably at least 5 years! Happy birthday! Im relatively new to your blog – maybe 2 months. although i have been following you on IG longer! Found you through your sister Kate! Have a special day!! I have been reading for a few years – and actually saw you in Chicago at a college basketball game with my husband and was "star-struck". Seems silly now, but I could't say hello!! Happy birthday! I've been reading your blog for at least the last 5 years. Have a great day! What a special year for you and what a special birthday! I have followed you all of 2017 and look forward to being a continued reader as I love your style, writing, and cheery personality. Cheers to you! Happy Birthday..Have been reading for at least 4 yrs..Enjoy your special day! Happy birthday! I’ve been following for years and can totally see the transformation you are talking about! I’m a bit, ahem, older and went through the same thing myself! Here’s to the next fantastic year! Happy birthday, Lauren! I’ve been following for a long time, since you were from your grey desk. 🙂 Hope year 28 is a wonderful one for you! Happy Birthday! I found your blog via your sister's about 2 and a half years ago. I turn 28 in 1 month and I was married this past October. We seem to be at very similar points in our lives which is so cool! I have been reading your blog for about 5 years. Happy Birthday! I’ve been reading your blog for a few years. The 20s were a crazy period for me. It took me until 30 to find that content zone which was a-ok. Enjoy! Happy birthday! Wishing you another fabulous trip around the sun. I actually discovered your blog right around the same time I started following your sister’s blog, a couple of years ago. I hope this next year is everything you hope it will be. Happy Birthday!! Happy birthday! 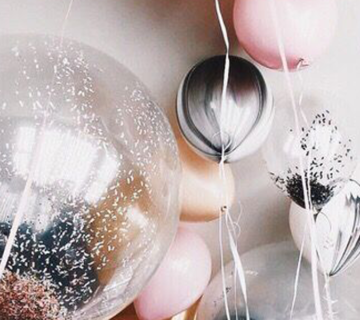 Love your blog and style and hope you have another great year! Happy Birthday! I always read your post while enjoying a great cup of coffee. Happy birthday! I've been reading your blog for over 3 years now and really enjoy it! Happy Birthday, Lauren! I love how you reflect on years past and hope that 28 is your best year yet! Happy Beautiful! I am so glad that 27 brought you such immense joy and contentment- you are so deserving! Here's to 28 and more love than you can imagine! Happy Birthday! Cake is always a must :). Happy birthday! I think I've been a reader for about 2-ish years. Enjoy your day! Happy Birthday! We’re actually birthday twins! Ive been reading your blog for 5+ years. Have an amazing day! Happy Birthday Lauren! It's been great go follow your journey over the last year. I've been reading your blog for about 2 years! I really enjoy reading it! Happy Birthday! Happy Birthday! Wishing you a wonderful year! Happy Birthday!!! No idea when I started reading but I think it was when you were still in college. I hope you have an amazing day!! HBD Lauren! Love reading your blog everyday and have been since 2013 :). Happy birthday! I originally came about to read your blog through your sister's. Can't remember how long ago it was, but it was before you and Mike started dating. Happy Birthday Lauren! Hope you have a wonderful day with cake too! Happy 28th Birthday! I hope you enjoy your day! I have been reading your blog and Kate’s for about 4 years now. They are both by far my favorite blogs to read! Happy Birthday! I hope you have a blessed year with love, family, friends, much happiness (and many more blog posts!)!! HBD! I’ve been reading for approximately six months! Have the best birthday and wishing you the best for 28! Happy Birthday to you! I've been reading your blog since about 2012? Does that sound right? I even had a FaceTime Styling appointment with you 1000 years ago. 🙂 My BFF and I talk about you and your sister like we all know each other! LOL In a totally uncreepy way of course. When you read someone's blog for 5+ years, you kind of feel like you know them! Prayers 28 brings you many blessings! Happy birthday! I’ve been reading for a few years now (2 or 3, maybe?) hope you have a great day! HBD Lauren! Thank you for the blog! I enjoy reading it. Happy birthday! I have been following you for about 4 years now. You are such a positive influence and a blessing. Hope you have a wonderful day with Mike! Happy Birthday!! 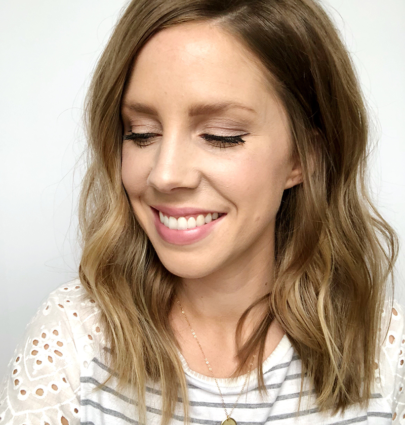 I have been reading your blog since 2013 – I started following Kate for hair tutorials and it led me to you! I love your style and am also a big fan of Elisabeth Ashlie! Happy birthday Lauren! As a girl who is in her mid twenties, I'm trying to gain more self confidence as I grow too. It's one of the biggest things I focus on for my personal mindset. I've been reading your blog for about three years now I think and I love it! Happy Birthday Lauren! I love your wish for this year! Sometimes a little contentment is all we need! Happy Birthday, Lauren! I have been reading for about 5 years, since FMGD! I’ve been reading for about 2 years! I don't know exactly when I started, but I think consistently for a year and a half. I know I knew about your jewelry business way before from following your sister Kate, but didn't know you had your own blog as well! Now your blog is on my favorites tab and gets checked multiple times a week!! I hope you have a great 28th birthday! Happy Birthday! Life, like many things, gets better with age! I've only been here for about 2 years, but I'm so happy that you've now moved to my local area. I love reading how you're adjusting to the DMV and all your new faves! Happy Birthday! Love your blog and instagram feed! I've been reading for only a few months, but I'm hooked. It's fun to follow along each day! Happy Birthday Lauren! I’ve been reading since you were a “grey desk”. What a fun time it’s been! 28 was a good year for me; I pray blessings over your year! Happy Birthday Lauren! Hope it’s a wonderful day and a very happy year ahead! Happy Birthday Lauren!! I've been reading for about a year, and found your blog after following Kate for a long time. 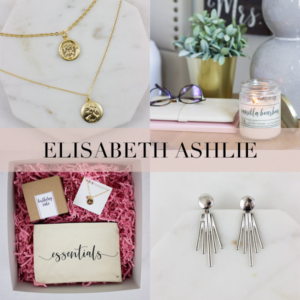 I love Elisabeth Ashlie and have received several items from your shop for gifts- love your content and message! I'm not exactly sure how long I've been reading, but you lived in Raleigh and it was called From my grey desk I think. It's been cool to watch your journey! Happy Birthday!! I hope you get your favorite cake today! 28 is such an amazing age I think. I am 33 right now but I loved my late 20's. I had my daughter at 28 and even though it was one of the hardest years of my life it showed me how strong I could be. I don't exactly remember when I started following you, it's been awhile! I found your sister thru pinterest first but when she mentioned you, I had to check out your website. I wish you much joy, success and wisdom this year and many years to come!! Happy birthday! I've been reading your blog for about 3 years and I love it! Enjoy your day! I've been reading your blog for about three years now and it's one of the first ones I pull up each morning! I've been reading for at least the last 4 years or so-have an awesome birthday! Happy Birthday Lauren. I think I've been reading your blog for a good 3 maybe 4 years now! Love it, defiantly one I check daily! Happy Birthday Lauren! I've been a follower for probably 3 years! Happy Birthday! I have been reading for about the last 5 years. I love that scarf and that essie nail polish is a great color. Two of my favorite necklaces are my disk necklace and my bar necklace from EA! I wear them multiple times a week! Since I found your sisters hair tutes, so about 4 years now! I love you both and your personal styles, I feel like we could be sisters too! HBD! Not sure how long, but I’ve followed you & your sister for a few years..your friendship reminds me of me & my sisters! Happy Birthday, Lauren! For some reason I had no idea that we were the same age, but I do agree that late 20's are the best! Just like you, I am learning to be more confident in who I am and not be influenced by others opinions. Enjoy your first married Christmas! I love the first year of marriage because you get to create all new traditions with each other! Happy birthday Lauren ! I’ve been reading your blog since I found your sisters blog back in 2012. From My Grey Desk! I love starting off my day reading both your blogs !!! Thank you for sharing you and your life. I’ve loved watching you grow !!! Happy happy birthday. I hope you have a wonderful day !!! Happy 28! These are the years of my life where I feel like I floundered, so it's so wonderful to see someone who's flourishing, not floundering! Stay close to God and your husband, because those are what matters. Happiest of birthday wishes to you! I hope you continue to grow and feel the love. Gaining self confidence is such an important part of finding joy. Thank you for sharing, and Happy Birthday! Happy birthday!! Wow I think I've been following you for about 5 years now?!?! Certainly feel like I know you and your sister!! Enjoy your day! Happy birthday! I’ve been following you for years! I’ve always loved your style. I ordered some of your EA jewelry for my sister to wear on her wedding day. It was perfect! Happy Birthday!! I hope you have the best day! Enjoy your birthday cake! Happy Birthday! It’s been fun to celebrate all the fun times by reading along over the past year! Happy Birthday! I have been following for about a year now! Happy Birthday!! Not sure how long I’ve been reading your blog but at least since it was called “From My Grey Desk”! Hope you have a wonderful birthday! Happy Birthday!! I've been reading your blog for about 3 years!! I hope you have a fantastic day!! Happy Birthday! Mine was on Saturday, and I LOVE having an early December birthday. Everything is festive, but it is far enough away from Christmas. Hope 28 is your best year yet! I found your blog through Kate a few years ago, and I have loved following along! I've been reading for 2 years I think? Happy birthday! Happy birthday! I’ve been reading for a year or so I think? I love your nod to everything neutral and many of your clothing and beauty finds/suggestions have become a part of my everyday style. Have a great day!! Happy Birthday!! I think it has been about five years now that I have been reading your blog! Our years were pretty similar big event wise (married, honeymoon in Europe, moved to a new city), so it’s been especially fun this year reading along! Happy Birthday!! I don’t remember how long, only that you had recently moved back to Chicago. Happy Birthday!! I have been reading your blog since I was a senior in high school, so since 2012!! I remember stumbling upon a post where you used Mark. beauty products and I've read every post since then (haha do they even make Mark. products anymore??) I feel like I personally know you just from reading your blog, and I think in real life we would be friends! Happy Birthday!! I love following you and your sister, Kate! I have found so many products to try from you both! Happy Birthday! I've been reading your blog for a year or so and it's been great watching all the changes in your life and seeing your business grow. Congratulations! Hey Lauren! I've been reading your blog for over a year and a half and follow you on all social media and have bought some items from your shop – As you can see, it's the first thing I do each morning when I get to work – open your blog 🙂 I hope you have a magical birthday and a wonderful Christmas! I actually started reading your blog just before Kate got pregnant with David! The first time she mentioned her sister, I immediately came to your blog and have been reading ever since. I look forward to reading/watching your insta stories everyday! Happy Birthday, Lauren! I've been reading your blog about a year and love following along! I actually don't remember when I started…it has to be at least 3 years now? Happy, Happy Birthday!!! I hope your day is great and filled with lots of love and laughter shared with family and friends! I so enjoy reading your blog – Thank you for doing what you do! Happy Birthday! Love following your blog! Happy birthday, Lauren! I’ve been reading since your From My Grey Desk Days – so a long time! I always value your recommendations on beauty items, and it was so fun to follow your wedding planning. I hope that you have a great day and year ahead! I think I've been reading for about three years! Happy birthday! Happy Birthday! I've been reading your blog for years, and am really loving all the instastories updates! Happy Birthday! I hope you have a fun day celebrating. Happy Birthday!! I hope the coming year has wonderful things in store for you. I have just been reading your blog for a few months which I found through your sisters blog! LOVE both blogs and Instagram pages! Happy Birthday! Your blog is so much fun to read! Happy Birthday, Lauren!! Hope you have a wonderful day celebrating. 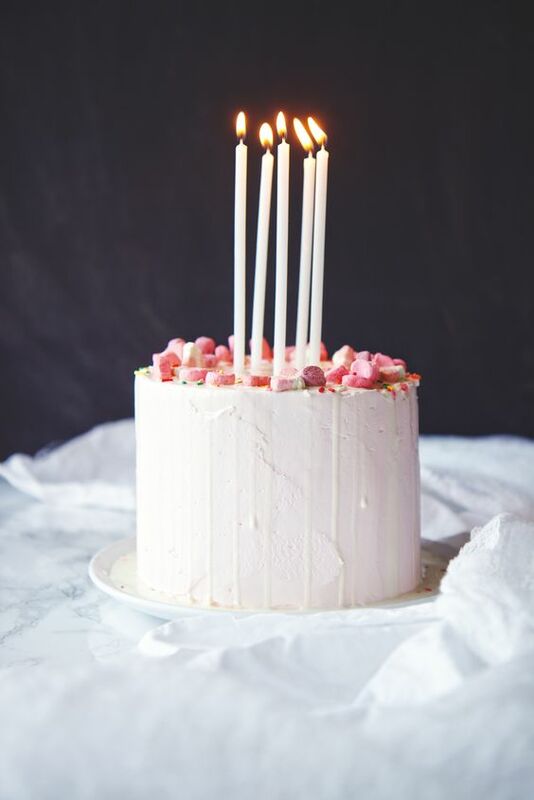 Happy Birthday – welcome to 28 it’s great! I’ve been around your blog for probably 2 years maybe even 3 now that I think about it! Happy birthday!! I've been following you and your sister for years now! My favorite blogs to check daily, you girls are the best!! 28 is a good year 😉 Wishing you all the best! Happy birthday! I've been following along for at least 4 years, after I found your blog through your sister! Happy Birthday! I've been following for the past couple years. Eat cake and enjoy your day! I started reading your blog when it was still My Grey Desk. Happy Birthday! Happy Birthday! Thanks for a Fun giveaway! Love your blogs! Hope you have a very Happy Birthday!! I’ve been reading your blog since you got engaged. Love your style! Happy Birthday!! Cleaning out your closet is not what I would have been doing on my birthday eve… but you inspired me to clean mine out before Christmas!! Happy birthday! I have enjoyed reading your blog the past three years. Happy birthday, girlfriend! I want to say since 2013?! I started reading Kate's and loved you two (as in both of you, not poor grammar)! Happy 28th birthday! I started reading your blog around the time you moved from NC to Chicago – was that 3 or 4 years ago maybe? I enjoy your blog posts so much! Many blessings to you this year!! Happy Birthday, Lauren! I've been reading your blog for years now… it was actually the first blog I started reading regularly. And, even though I'm a few years older than you I love your style, attitude toward life, and look forward to reading all your posts. Thanks for creating such a fun space to visit. Enjoy your day! Happy happy birthday! I'll be 28 in a few months, and you are such an inspiration as someone who is in a similar phase of life. Keep doing what you're doing – it's amazing! Happy birthday! I hope your day is fabulous! I have been reading your blog for at least 4-5 years…back when you were my grey desk. I found your blog through your sisters, and I have to say I love following you both! can't remember how long i've been reading 6+ years maybe? hope you have a lovely and relaxing day!! Happy Birthday! I have loved following your blog for the past 5 years! Happy birthday!! I, too, find myself caring less and less about what other people think of me as I get older. It's SO freeing! Can't wait to see what Mike has up his sleeve for you today! Been reading for a few months! Happiest of birthdays to you, my dear! I love reading your blog and have been doing so for about four or five years I believe. Your blog and your sister's blog were two of the first ones I ever discovered and I've been a loyal reader ever since. Keep up the good work and enjoy your day! Happy Birthday! I have been reading your blog for about 3 years and found it because of your sisters blog. Happy Birthday! I love reading your blog 🙂 I think Ive been reading it for maybe 4 years or longer!? Happy Birthday! I have been reading your blog for at least 4 years now. Happy Birthday!! Been reading for 3-4 years! I think? Love your posts and especially the wedding ones as I'm in the process of planning my own. Hope you have an amazing year! Happy birthday! I think it's been about 3 years of reading your blog, I look forward to it! Happy birthday! I love how your items you post are reasonably priced! AHHH! I don't know! At least 2-3 years or so 🙂 Love reading it and love your simple, stunning outfits! XO Happy Birthday! Happy birthday, Lauren. May you day be fabulous! Happy birthday! I have been following you for close to two years now I think! I found you through your sisters blog! It always makes me laugh when you guys do something like the other sister does…. and then I feel like a stalker noticing similarities in sisters I’ve never met!!! hope you get lots of cake!!!! Happy Birthday! I've been reading your blog for a few years now-I originally found it through your sister's blog. I love your style (fashion and home) so much! Have a wonderful day and a great year:) Also, what a fun giveaway-everything looks amazing (as usual)! Happy Birthday! I believe I've been reading since the beginning! Happy Birthday! I love your style and your favorite things! Happy Birthday! I've been reading for a couple of years. Happy Birthday! I think I've been reading about 2 years. Happy birthday Lauren! I have been reading your blog for over 2 years, although I am much older than your demographic I really enjoy it. Happy Birthday!! I have been ready for a couple of years now! Happy birthday! I've been reading your blog for many years…maybe since 2013 or 2014, when you were living in North Carolina. Happy Birthday! I've been reading for a couple of years. I hope you have a great day! Happiest of birthdays to you Lauren! Happy Birthday Lauren!!! I honestly can't tell you how long I have been a reader, maybe about 4 years? Maybe longer than that? I have loved reading over the years, and I have felt like I have grown right along with you. I have especially loved your wedding posts! I recently got engaged and have found them extremely helpful! Happy Birthday, I hope you have an incredible day, and amazing year to come!! I hope you have an amazing birthday! I've followed your blog for several years now (since around the time you moved to SC) and I look forward to it each week. You've become like an old friend that I enjoy regularly catching up with. Happy Birthday! I'm newer to your blog, about 6 months, but it's become part of the start of my day! Happy Birthday! I've been reading your blog for a very long time! I hope you have a great day and a wonderful year! Happy Birthday! Been reading for quite a few years now, I have been re-reading your wedding posts because I recently got engaged and love your wedding style! Happy Birthday!! I've been reading for the last few years – started when it was from my grey desk! Happy Birthday! Take the time to celebrate YOU! I've been reading your blog for several years (found it through your sister's blog) and always look forward to reading your posts! Happy Birthday! I've been reading your blog for years (5+? ), it was called "from my grey desk" when I began reading it. Enjoy your day! Happy Birthday! I have been a reader for a little over 4 years. I discovered your blog shortly after I discovered your sister's and have been a reader ever since! Happy Birthday! I've been reading about 2-3 years. I got married about 4 months before you so it was kinda interesting seeing where you were in the process versus where I was and then reading your thoughts on the after. I actually moved from Virginia to the Midwest about 4 years ago! So, hope you are enjoying the area! I have been reading for about 4 years I think! I think 3-4 years! Happy birthday! Happy birthday Lauren! I've been reading your blog for….oh gosh….5 years? Maybe longer?? Can't remember lol! Anyways, I hope you have a great day and hope Mike spoils you rotten! HBD! It feels like forever, for some reason, but I’ve probably been reading for 3 years or so? I’ve enjoyed your blog and your store and even used your travel agent for a trip to Europe with my in laws. I appreciated the recommendation since I felt totally overwhelmed by the thought of planning it myself! Happy Birthday! I've been reading since 2012! Happy Birthday! Hope your year is filled with more love & joy than you ever could've imagined! Happy Birthday! I found you through your sister and I am so happy I stumbled upon you both. It has been great to get a little peek into your life and the posts on the Wedding were some of my favorite! I hope you have a wonderful 28th year! Thank you for all you do! Sheesh! It went from From My Grey Desk, to Elizabeth Ashlie, to Lauren Loves. So maybe 2 or 3 years? Happy birthday! Hope you have an awesome day. Can't wait to see what Mike has planned for your day! Happy Birthday! I love reading your blog; it has such a great aesthetic and I love following along with the wedding plans, travels, and fashion advice. Hope you have the best day! Happy Birthday!!! I've been reading for years ever since your sister became so popular from Pinterest. I came across her blog and then yours. I read both every morning. Happy birthday! Wait til your 30s. Even better! Happy birthday! I'm a fairly new reader, about 3 months. Happy Birthday!! I have been reading your blog for 2 year. I love it! Happy Birthday Lauren! I hope your 28th year brings more positive growth and self confidence! Happy birthday! I have been reading yours and your sisters blog for several years now. I love your beauty and home content. I also started listening to a few of the podcasts you recommended the other day. I had been wanting to try listening to podcasts for awhile, so I started with Dirty John, and I love it! Happy birthday!! I've been reading your blog for about 2 and a half years now! I love all your content, and you are such an inspiration to me! Happy birthday Lauren! I've been reading your blog for four or five years – one of my favs! Happy birthday! I hope you have a great day! My birthday is on the 14th and I always feel like there are not very many other people with December birthdays. I've been reading for quite a few years now. I think about 4-5 years! Happy birthday! What a great year for you. I've been a reader for a long time–shoot, upward of 5-6 years! It's been fun to watch your development as both a person and a blogger. Happy Birthday! "Contentment" is actually one of my words for 2018. Hope your birthday was filled with lots of joy and happiness! Happy Birthday! Love reading your blog. Happy birthday! I have been reading yours and your sisters blog for several years now. I love your beauty and home content. 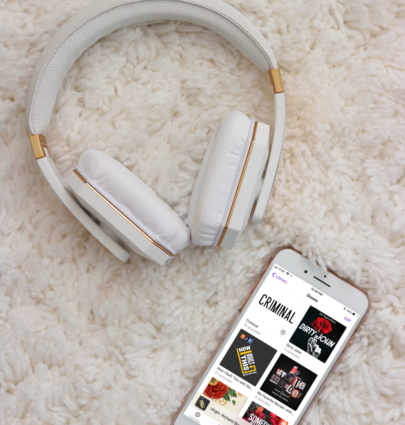 I had also been wanting to try podcasts for awhile, and after seeing your list, I tried a few. I have been loving Dirty John! Thanks for the recommendations! Happy Birthday!! I hope you have a great day. I am not sure how long I have been reading but I do remember that it was when your blog was called "from my grey desk!" Can't believe I've been following you for over 4 years! It's been a fun journey and I love your style. You give me so much inspiration on a daily basis, whether it's here or on Instagram! I've been reading your blog from the "from my grey desk" days! Happy birthday! Happy Birthday!! I am not sure how long I have been reading but I do know it was when your blog was called "From my Grey Desk!" Happiest of Birthdays to you! I have been reading for a few years. Thank you for posting your favorite nail colors. Thank you for being you and not trying to be anyone else. Happy birthday! I also found the older I get the more I love myself. 28 has been good to me so far, so hopefully you'll have an even better year ahead of you. I feel like I've been reading forever and have loved following your journey. Happy birthday? I think 4-5 years? It's been a while! Happy Birthday! I've been reading for about a year. Love the blog! Rafflecopter wont let me comment from my phone! Happy birthday! Been following for years! Happy Happy Birthday to you! I discovered your blog through your sister and it was back when it was called My Grey Desk, so at least 4 or more years! I love your blog so much! Happy Birthday Lauren! I think I've been reading your blog for 5ish years?! I heard about you through Kate's blog as I've been following her for years too! Happy Birthday, Lauren!! I've loved reading your blog since it was "From My Grey Desk!" Usually over a cup of coffee. Wishing you a great, and content, 28th year! Happy Birthday! I've been enjoying your blog for probably 4 years now. I love your organizational skills and creativity! Happy Birthday! I've been enjoying your blog for about 4 years now. I love your organizational skills and creativity! Happy Birthday! I've been reading your blog for the past 1-2 years. I love the variety of the content you post! I have been an avid reader since before you and Mike started dating. What's that been? 2-3 years? Happy Birthday! Enjoy 28! Years go by so much quicker now. Been following you and your blog for at least 3.5 years. Found you through your sister and when you lived in my city, Chicago, for a bit. Happy Birthday! I've been reading for about a year and I love your blog (as well as your sisters!) 🙂 Can't wait to hear what Mike has planned for your special day. I'll be following on IG! I've been reading since you were working, outside the home! Happy Birthday!! I've been a reader for about 5 years! I found your page through your sister before David was born 🙂 You guys are the sweetest and always have the best clothing and beauty product recommendations!! Happy Birthday Lauren! I have been a fan of yours for 4 years now, love you and your sister Kate! Happy birthday! 28 is such a fun year ☆. I can't remember how long I've been reading – maybe 1 or 2 years! Happy Birthday, Lauren! I've been reading for years now after finding you through the Small Things Blog. You're an inspiration. Hope 28 is the best yet! Happy birthday! I've been reading your blog for a few years and I love your simple outlook on life. Your contentment with yourself and your life shows and I find it really inspiring! Your instagram stories always make me laugh and I'm so happy for you that your 27th year was so good to you! I hope the goodness continues for this year and many after! Hope you have a great day and enjoy being 28! Happy Birthday! I found your blog through your sister, but I love your content and very much enjoy following you. I don't even know how long I've been reading but was introduced to your blog from your sister's blog. 🙂 It was before you moved to Chicago for the intern job. Happy birthday! I've only been reading for about a year, but have so enjoyed your content and point of view! Happiest of birthdays to you! I'm a fairly new reader to your blog as I stumbled across one of your wedding prep posts this summer as I was putting together the final details on my wedding. I've been reading consistently since and always look forward to your posts! Enjoy your day and your cake! Been following a while! Happy Birthday! Happy Birthday! I've been reading a long time – like since you were "from my grey desk" long – 6 years? 7? You and Kate were why I started reading blogs! Have a wonderful day! Thanks for the giveaway! I hope you have a great day on YOUR DAY!! I think I've been reading…. about 3 years? Happy Birthday! Reading for a few years! Happy Birthday Lauren������Hope you have a Blessed day. Been reading your blog for a couple years now. Thank you for all you do to inspire others. Happy Birthday! Hope that 28 is everything you wish for and more! I'm pretty sure I've been reading your blog from the start and I've loved watching it grow! I started reading your blog when it was still From My Grey Desk – I know I found your blog via your sister, but I'd guess it was late 2011 or maybe early 2012? I found blogs around then, I had just started an office manager job that gave me daytime internet cruising time and reading blogs every day became my "check the headlines" reading time! Happy Birthday! !Congrats on your booming business. You've done a great job turning something you love doing into such a success. Kudos to you. Happy Birthday! I've been reading for several years now (not sure exactly how long). It's high on my daily rotation of blogs I read during my lunch break! Wishing you a wonderful birthday and year! Happy birthday, Lauren!! Love your blog! Happy Birthday!!! I’ve been reading for 3-4 years now!! Happy Birthday! It sounds like you have had an amazing, whirlwind of a year and it is lovely to see you taking time to appreciate the little things as well as the big events. Here's to another great year! I think I've been reading for about 4 years now! I started right before I moved to Raleigh to see what suggestions you had for the city. Happy birthday! I'm a brand-spankin'-new reader! I just found your blog through your sister's instagram today. Happy Birthday! Happy Birthday! I can't remember exactly how long I've been following you, but probably 3+ years! Happy Birthday Lauren! I'm 28 as well, and I agree, my later 20's have brought so much growth to my self-confidence. I hope your new year is filled with tons of love and laughter! Happy birthday! I think I have been reading your blog for close to 4-5 years! Happy Happy Birthday!! I have been reading your blog since you were From My Grey Desk. You're the most relatable blogger I follow; and your entrepreneur drive is really inspiring for me. I've also gotten many ideas for decorating my home from your apartment tours and new townhouse. And I really love seeing your comfy/cute fashion on instagram! Have an amazing year, Lauren! Happy Birthday…I've been reading since it was from your "grey desk"!…hope #28 is a good one! Blessings to you today! I’ve been reading for about 2 years. Happy birthday! It's been a pleasure reading the last 2 years, thank you for sharing your thoughts with all of us. Happy Birthday!! I hope you have a wonderful day! I've been reading your blog for about 4years now, maybe a little longer. I found your blog through your sister! Happy Birthday Lauren! I'm not honestly sure how long I've been reading your blog. I remember ready "Behind my grey desk" sporadically and as you changed things in your blog I began reading more frequently. I really enjoy Elizabeth Ashley jewelry as well! Hope you have a great day and a fantastic year! Happy birthday Lauren! I’ve been reading for the past three years or so. I also found you through Kate’s blog. I have 2 sisters that I’m super close to, but don’t live near, (I’m in NC, they’re in the Northeast) and so much of the relationship you and Kate share on the interwebs reminds me of my sisters and I. Thanks for sharing and creating such beautiful things! I hope your day is super special! 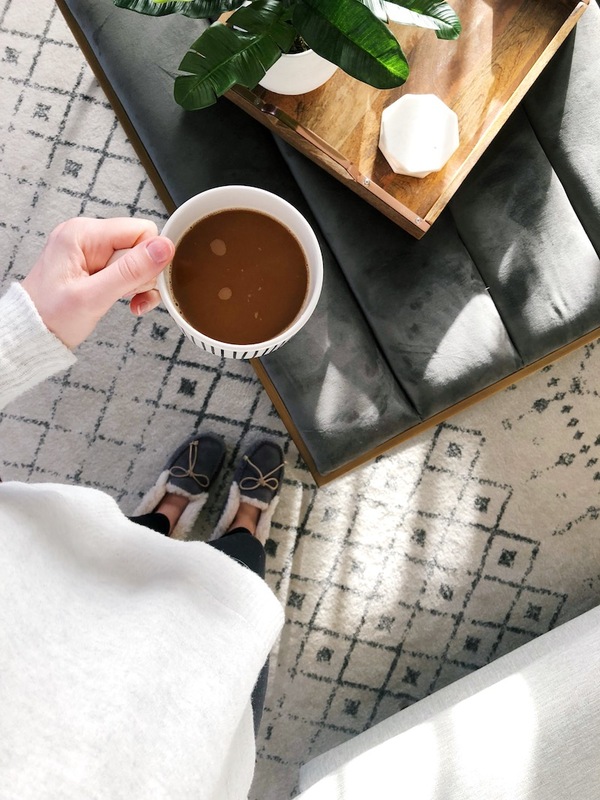 I've been reading your blog for around 2 years – I love your home decor and, of course, your style! Wishing you a happy birthday!! Have a lovely birthday! I discovered your blog about 6 months ago. Happy birthday, sweet lady. I wish you a year of blessings! I've been reading your blog for 4 or 5 years now I think. I started first reading Kate's and then found the Elisabeth Ashlie shop and then your blog! I love it! Happy Birthday!!! Happy Birthday! Just started a couple of months ago and love it! Happy Birthday Lauren! Enjoy your day!! I actually had my 27th birthday yesterday! I'm hoping it will be just as exciting as your 27th year was! Happy birthday! I've been reading your blog since sometime in 2012. Happy Birthday! Thank you for teaching us all to have more confidence! And also for enabling my love of neutral colors and coffee! Happy Birthday to you!!! Hope you enjoy your special day and feel celebrated and extra loved! I love reading your blog and following along on instagram! Wishes for a wonderful 28th year! Happy birthday! Hope you have a wonderful year! I enjoy reading your blog…love your style! Happy birthday! 27 was such a big year for you and I can't wait to see what wonderful things come your way this year:) Enjoy your cake! I love reading your blog and observing how you have become more confident in who you are. It is so clearly evident as your personal style and voice have really solidified and shine! Happy Birthday! Happy Birthday! I've been reading for a few years now. I can't remember exactly when I started. I followed a link to your page from your sister's blog. Happy Birthday! Hope you have a wonderful day. You will find yourself more and more comfortable with yourself and your own intuition to make the choices that are right for you year by year. Happy birthday! I hope it's a great one. I've been a reader for a long time, at least 4 years. Love your blog! Happy Birthday!! I’ve been reading your blog for almost 2 years now. Hope you enjoy your special day! Love your blog. Been reading 2-3 years. Your recommendations are always spot on! Happy birthday. Happy Birthday! I've been reading your blog for over 5 years! Started reading the small things blog and then clicked over to your blog. Cheers to a great year! 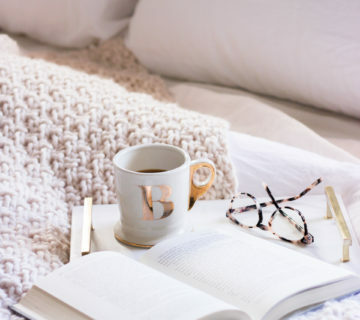 I’ve been a reader since from my grey desk, one of my favourite blogs to read! Love your blog! I’ve been reading the past 5 years!! Been following your blog (and aaall your social media) for awhile now and I love when you post! You're one of those bloggers that I always read blog posts from and always specifically check for Insta stories! Also one of the best things I've done this year has been to purchase the Madewell ripped denim that you suggested. THANK YOU. Happy birthday Lauren! Happy birthday! I think it’s been 4 years? It’s hard to remember! Wishing you a blessed year!!! Happy birthday. Love the blog. Been reading 2-3 years. Thanks for all the recommendations! Happy Birthday! I've been reading your blog for about a year now, don't know why it took me so long! Happy Birthday! I'm a longtime reader (since you were From My Grey Desk!) and hope you are enjoying Northern Virginia. I grew up there and my family still lives outside Ashburn. If you haven't been to The Capital Grille or Clydes yet, both are great restaurants to check out! Happy birthday! I've been reading your blog and your sisters blog for 3+ years. Happy Birthday! I have been reading since the From My Grey Desk blog days! I hope you have a wonderful day! Happy Birthday! I love reading your blog and hearing about your life adventures! Cheers to the start of another new year! Happy birthday! I've been reading your blog and your sister's blog for several years now, and enjoy them so much! I hope 28 is great for you! Happy Birthday! I've been reading your blog since "from my grey desk!" Love your content! Happy Birthday! I've been reading yours and Kate's blog for years. Love your blog! Happy birthday pretty lady!! I've been following you since I stumbled across your sister's blog oh maybe 5-6 years ago?? Enjoy all that this new year brings. May it be filled with new lessons, new memories, and lots of love. Keep being you sister! It's why you have so many followers 🙂 CHEERS!! Happy Birthday!!!! Your blog is always so fun, encouraging, and uplifting. Thank you! I have been reading for about a year now. I found your blog through Kate’s and I love hers too! Happy birthday! Content is definitely the greatest gift! I've been reading for years–3 minimum I'd say. Happy Birthday!!! I've been reading your blog for about 2-3 years and look forward to them!!! Hope you have a special day! Been reading a couple years now. Found you through Kate. HBD!! Happy Birthday!! 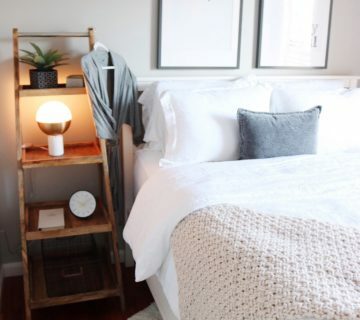 !I always enjoy your shopping as style posts, especially because I love grays and neutrals! Happy Birthday, Lauren! I’ve been following you on Instagram for awhile, but I’ve followed your blog for about a year now! Love it!! Happy birthday dear! I've been reading for about 3 years. If you love the confidence you're gaining then you'll love your 30s. No rush but they are my favorite decade yet! Happy Birthday! Loving reading about you and your sister! Well how fun is this! Happy birthday, Lauren! I'm Laura and I've been reading solidly about 18 months. I found you through Kate and as crazy/stalker ish as it sounds, I feel like I know you two! If I ever grow up to be cool, it will definitely be like one of you. Thanks for sharing part of your life with us! oh my goodness, we'll go with 5 years, but I'd bet its longer! Happy Birthday, I'm a December baby too! I came across your blog a couple years ago! Happy Birthday! Happy birthday! I've been following your (and your sister's!) blogs for about 2 years now, you have such a good eye for fashion/makeup/decor and I love getting inspiration from your posts! Happy Birthday! I've been reading your blog for about 3 years now – love your style & authenticity. Huge fan of Elisabeth Ashlie too! Happy Birthday – I've been reading for about four years? Enjoy your day! Happiest Birthday!! I hope your day is wonderful! Happy Birthday! I have been reading for a couple of weeks now! And I love it! Happy Happy Birthday. I know I've been reading for years and years! Sp glad that you've found that contentment. Such a great feeling! Hi there, happy birthday. I've been reading for just under a year – so got to enjoy the craziness of 27 along with you. Cheers to a new year! Happy Birthday Lauren!! I've been reading your blog now for about 4-5 years and it's been so great "getting to know you" through your blog. I always love reading your Coffee Conversations posts and seeing what you've been up to. Cheers to a great next year ahead! have a great birthday and year ahead! Happy Birthday! I've been reading for several years- 3-4-5? You were still doing the business with Kate and she was still working in her hair studio! Hope you have a great birthday! I have been reading your blog for 3 years and appreciate all tha tyou have shared here. Happy birthday to you! I've been reading your blog for almost a year now! Happy birthday! I recently turned 28 as well, here’s to hoping it’s our best year yet! I hope you are enjoying your birthday! I turn 28 on Saturday as well and love looking back on the last year and seeing how life has changed. I love your blog and have been reading for probably 5 years. Just about everyday for about 4 years now (your sister’s too 🙂 ). Happy Birthday to you!! I think i've been reading your blog for 3-4 years? The first blog I got really into! Happy birthday! I’ve been reading for a couple years, since I started following your sister, Kate! Happy Birthday, Lauren! I've been reading for around 5 years I think… since the 'From My Grey Desk' days! Been reading your blog ever since I found your shop on Etsy, so I have no idea how long ago that would be! Hope your birthday was amazing! Happy Birthday! I've read your blog for years and it's a favorite of mine! happy birthday!!! all the best! I've been reading your blog for probably 5 years or more. Happy Birthday! I'm loving this package, especially the scarf and that amazing oven mitt! I absolutely love your blog! It's a daily read for me. Happy Birthday!! I bought a vest from JCrew based on your recommendation and it arrived today! I cannot wait to wear it!!! I've been reading for probably 4 or 5 years and really enjoy it! Happy Birthday! I think I've been reading for two years now. It's been fun reading about your life-changing experiences (engagement, marriage, moving) as I went through them, too! Happy Birthday!! It's so fun following along with you and your sister. I've learned a lot of tips and tricks from you both! Happy birthday! I think I've been reading for at least 2-3 years. Thanks for the giveaway! Happy 28th Birthday! I have been reading you (and your sisters) blog for probably 5 years! Enjoy your day! Happy birthday! The older I get, the less I think of others' opinions- it's great! Happy Birthday Lauren!! Watching your insta-stories, looks like a wonderful day!! Happy Birthday, Lauren! I've been reading your blog for years! Happy birthday!!! Love your reflection of looking back at your early twenties. I first started reading your blog when you still lived in Raleigh near your sister. Reading her blog lead me to yours. Anyways I've enjoyed reading and watching your business grow! Happy birthday! Hope it's been a great one! I think I've been reading for 3 years. Happy Birthday! I have been reading for about three years and I truly enjoy it. I love your style, and am a HUGE fan of your jewelry. I wear the bar necklace with my son's name on it everyday. As I recall, 28 was both wonderful & sad as I lost a baby that year but later became pregnant with my fourth child. (He's my baby and he's 5 now!) I truly hope you have a wonderful day and an even better year. I love your blog and have been a loyal reader for years, thanks to your sister's recommendation. Wishing you a very Happy 28th Birthday! Hope you had a great birthday! Love your posts, and excited for the giveaway! Happy Birthday!!! Wishing you lots of laughter, good food, and great company today!!! Maybe two to three years now?! Happy birthday! I started reading probably 3 years ago. Glad to hear you’re working on focusing more on the people closest to you and less on the random people on the internet. I feel like we could all use the reminder to do that! Happy bday! Been reading your blog randomly for a long time, regularly for 6 months? Oh my gosh, I would have to say I've been reading your blog for about 4 years and I love it! We are about the same age and I would have to agree with you — I'm starting to be more comfortable with who I am and value the opinions of my family/close friends more than anyone else. It's a great feeling. Happy birthday! I started following you actually right around my 28th birthday! I’ve loved your reading blog and following your Instagram. Six years! I discovered you my first year of teaching during spring break! I've been reading for about 6 months!! Not long enough! Happy Birthday! I've been reading about two years! Happy birthday! I've been reading for about 5+years (back when the blog was called From My Grey Desk). I found you through your sister's blog when her hair tutorials were all the rage on the Pinterest. You guys are my favorite bloggers to follow still to this day! Happy birthday! I honestly can't remember how long I've been reading– 5ish years? ahh! between your blog and Kate's, they are my absolute faves on the internet and I've shared them with several people including my own sister! Happy birthday! I hope you had fun! Happy birthday!! I’ve been reading for a couple years & your one of my faves!! We have the same birthday!! Enjoy!! I've been a blog follower of yours for a few years now and have loved watching you reach this point of contentment. I also remember how wonderful you were to work with when I ordered one of your beautiful necklaces a few years back. In any case, so happy for you…and the life you've created! All the best to you and Mike!! Happy Birthday! Been reading for over 2 years now! Happy Birthday! I have been reading for about 6-7 years! �� Time sure does fly! Hope it was a great day! Happy birthday! I've been reading your blog for years! I turned 28 in September and feel that I am also more self aware and secure in my decisions in the last few years. It's a great revelation to do the things that make you happy without worrying about what others think. I hope you have a great day! Happy birthday!!! I’ve been reading your blog for I think 6 years! I have loved seeing your blog and business evolve and your relationship with Mike grow into marriage!!! 28 will be a great year!! I just got married in October and i am loving it! Happiest of birthdays! I’ve followed for the last 2 years, at least! So fun. I love your style & sarcasm!!! Enjoy 28!! Happy birthday! I hope that you have a wonderful day! Happy Birthday Lauren! I have been reading/following your blog since the very beginning! From My Grey Desk. Ah… good times. I've loved following you and hope you've had a great day. Happy Birthday!! I’ve been around since early 2012. It’s been cool to see where life has taken you. Your confidence is evident in your posts and it’s encouraging. I’m sure this year will be hard to top, but I pray that it will be a good one! Happy Birthday! May your year be one that leaves you feeling ever so loved. Happy birthday! I've been reading your book for about 4 years now! Good day everyone,I can’t hide this great testimony that took place in my life I will love everyone to know it and be a partaker of this, that is why I want to share it to the whole world by placing this advert on classifieds, I am Mrs Karen Brown by name, I live in Chattanooga, Tennessee United State, I want to thank ROBBINSON MOORE for his kindness upon my family life, I never knew that there is still a sincere and trustworthy lender like this on the internet and on earth. Just some days I was in search for a loan of $ 100,000.00, As I was running out of money for feeding, School fees, My business was really going out of capital and my rent. I was scammed about $15,000.00 dollars and I decided not to involve my self in such business again. But a Friend of mine introduced me to a loan firm due to my appearance and doings and also my complains to her. And I told her that I am not interested in any loan deal anymore but she told me that there is still a sincere lender who she will recommend me to, And she gave me the details of this man who is called MOORE ROBBINSON. And I really put a trial and I am most greatful and lucky today, I was given a loan amount of $95,000,00 Dollars by this great firm MOORE LOAN COMPANY. If you are in need of a genuine, Sincere, durable and a truth worthy loan lender or financial assistance and also you know you can be reliable and trusted, capable of paying back at the due / duration time of the funds I will advice you to send your contact to them via email @[ mooreloancompany@yahoo.com] OR Test (414) 454-9493 . And you will be free from scams on the internet. Please I am begging everyone on earth to help me thank Mr ROBBINSON MOORE. And I will always being sharing this great surprise and testimony that happened in my life everyday to all that need loans. Contact them now if you are in need of a loan: AS THEY ARE EFFICIENT,DYNAMIC AND RELAIBLE…..Again there contact email [mooreloancompany@yahoo.com OR Text (414) 454-9493.